We want good value for our money. In this article, I ask Dr. Judy what goes into making a good Coenzyme Q10 supplement. Dr. Karl Folkers called Coenzyme Q10 the essential bio-nutrient. Even so, its existence and its importance are probably known only to a minority number of adult Americans. And it is highly doubtful that American medical schools teach about Coenzyme Q10 to the extent that they should. American cardiologists, on the other hand, should know about the substance because its heart health benefits have been reported extensively in the Journal of the American College of Cardiology and in the International Journal of Cardiology. Recently, I asked Dr. William Judy, what are the salient facts about Coenzyme Q10? What should I be telling my friends and colleagues? What are the characteristics of a good Coenzyme Q10 capsule? The ubiquinone form of Q10 is a fairly stable form. It is the form that is best suited, because of its stability, for the making of Q10 supplements in capsules. In its raw form, the ubiquinone Q10 comes to the supplement maker as dry bright yellow orange powder crystals. Now, Dr. Judy explained, the human body cannot absorb crystals of any type; the absorption cells in the small intestine can absorb only single molecules. Furthermore, he said, the Q10 crystals have a dissolution point about 10 degrees Celsius above body temperature. They will not dissociate completely by themselves in the stomach or small intestine. 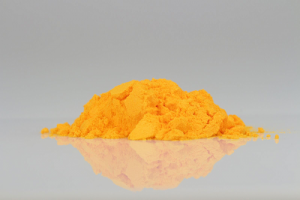 The Coenzyme Q10 raw material that the supplement producer purchases from the manufacturer comes in a dry powder form (crystalline form). The Q10 crystals have to be dissolved into single molecules in a lipid solution in a way that keeps the Q10 crystals from re-forming inside the capsules. First of all, the dry Q10 powder from the manufacturer is virtually worthless as a supplement. In the making of Q10 supplements, the producer of a good supplement must dissolve the Q10 crystal powders in some sort of lipid solvent, preferably a vegetable oil. Even this is tricky. Some oils work better than others. Soybean oil works well. Palm oil works well. Olive oil does not work as well. Moreover, the supplement producer must ensure that there is, inside the capsule, a lipid formulation that will keep the Q10 from re-crystallizing. Remember, the Q10 crystals will not dissolve completely by themselves in the 98.6 degrees of the stomach and the small intestine. The Q10 crystals would need a body temperature of about 117 degrees Fahrenheit if they should dissociate completely, and we know that cellular death would occur quickly if our bodies ever got that warm. Thirdly, the supplement producer must find a lipid solvent (an oil or combination of oils) that is easily absorbed itself and that will act as a good carrier for the ubiquinone Q10 single molecules. Dr. Judy said that the Q10 supplement producer needs a formulation that will stimulate the formation of micelles when the Q10 molecules reach the watery phase of the chyme in the small intestine. The Q10 supplement producer needs a formulation that will help to keep the micelles from breaking apart as they reach the absorption cells in the small intestine. To understand what micelles are, we can perhaps imagine to ourselves that the micelles are balled-up bunches of Q10 molecules grouped together with their somewhat polar heads on the outside and in contact with the watery phrase of the small intestine and with their non-polar tails tucked away in the middle. Remember, Coenzyme Q10 molecules are lipid substances. They are not attracted to water molecules. Ubiquinone Q10 molecules are relatively large molecules, and they need lipid carriers in the form of monoglycerides to get them from the interior of the small intestine through and into the intestinal absorption cells. That is one reason why it is best to take a Q10 supplement together with a meal, particularly a meal that includes some fat in it. A spoonful of peanut butter should help with the absorption of the Q10 molecules. Dr. Judy says: Coenzyme Q10, regardless of the form that it is ingested in, is absorbed in its ubiquinone form in the small intestine. Then, having entered the abdominal lymph as ubiquinone, it is converted in the abdominal and thoracic lymph to ubiquinol. Consequently, it enters the blood from the lymph in the form of ubiquinol. Please note that the absorption of Coenzyme Q10 in the small intestine takes place in the form of ubiquinone Q10. The contents of a ubiquinone Q10 supplement, the most stable supplement form, will be absorbed as ubiquinone Q10 in the small intestine. Since 2006 or 2007,the literature has been suggesting that ubiquinol is better absorbed than ubiquinone. In fact, said Dr. Judy, this appears not to be true. Yes, when ubiquinol is measured in the blood, its presence is greater than the presence of ubiquinone. But, he continued, if ubiquinol is measured one fluid compartment closer to the intestinal absorption cells (small intestine), then we find that ubiquinone is much better absorbed than ubiquinol (98% -vs-2% in the abdominal lymph). The reason that ubiquinol “appears” to be better absorbed than ubiquinone is that the ubiquinone absorbed into the lymph is converted to 95% ubiquinol in the lymph before it enters the blood. So, not only are the contents of ubiquinone supplements absorbed as ubiquinone Q10. So too are the contents of the less stable ubiquinol supplements absorbed in the ubiquinone Q10 form. If you are taking a ubiquinol supplement, the contents of that supplement will be converted in the redox process to ubiquinone Q10 in the stomach and in the small intestine. The absorption of the Q10 molecules will be absorption as ubiquinone Q10 molecules regardless of the form of the supplement. This is important information from Dr. Judy. Absorption of Q10 powder as dry powder or as powder mixed up in water has been shown to be less than 1 percent, so only bogus Q10 supplements use these formulations. Typically, today, the commercially available Q10 supplements are made with lipid solutions, but many of the lipid formulations fail to inhibit the re-formation of crystals inside the capsules. Q10 formulations of this type may give an absorption percentage of 2 – 3 percent at best. The best crystal-free high absorption lipid formulations today seem to have absorption percentages in the range of 8 – 10 percent. They are necessarily more expensive. More care and experimenting and adjusting have gone into their formulation. Okay, summing up, the Q10, regardless of the form that it is ingested in, gets absorbed predominantly as the oxidized form, the ubiquinone form. According to Dr. Judy’s study results, the relatively small percentage of the ingested Q10 that actually gets absorbed shows up as 98% ubiquinone Q10 in the abdominal lymph. Then, as that oxidized Q10 (ubiquinone form) slowly traverses the abdominal and thoracic lymph ducts, it is converted to 95% reduced form (ubiquinol form) by the time it enters the blood. It is the oxy-reductase enzymes that convert the absorbed ubiquinone to ubiquinol in the lymph before the Q10 in ubiquinol enters the blood. To repeat: It is not a supposed high absorption of ubiquinol that is responsible for the 95% ubiquinol found in the blood. Q10 is not absorbed directly into the blood but, rather, into the lymph. To find the true absorption of Q10, samples have to be taken from the lymph. The lymph is the first fluid compartment adjacent to the absorption cells. Judy, W.V., Stogsdill, W.W., Judy, D.S., & Judy, J.S. (2007). Coenzyme Q10: Facts or Fabrications? Natural Products Insider. Retrieved from http://www.zmc-usa.com/docs/CoQ10_Facts_or_Fabrications.pdf. Singh, R. B., Niaz, M. A., Kumar, A., Sindberg, C. D., Moesgaard, S., & Littarru, G. P. (2005). Effect on absorption and oxidative stress of different oral Coenzyme Q10 dosages and intake strategy in healthy men. Biofactors (Oxford, England), 25(1-4), 219-224. Please click here for more information about the well documented form of Coenzyme Q10, the ubiquinone form. Should I be concerned about the soy bean oils in Bio-Quinone Active CoQ10? I always thought they were unhealthy, or is the small quantity perfectly ok? Soybean oil. Bio-Quinone CoQ10 capsules are manufactured in Denmark under pharmaceutical regulation by the Danish authorities. 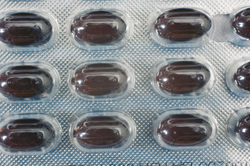 So, you should not have any worries about genetically engineered soybean oil in the capsules. As to the estrogenic effects of soybean oil, there is such a small daily dosage that you should be okay there. The thing is, tests show that the soybean oils as the carrier oils in a CoQ10 capsule are associated with better absorption of the CoQ10. Better than olive oil, better than olive oil and cocoa butter, better than olive oil and soybean oil mixed [cf Lopez-Lluch study]. So that is why the soybean oil is used. You are right, of course, to avoid getting too much soybean oil in fast foods and processed foods. Your question about soybean oil. The oil used in Bio-Quinone Active CoQ10 GOLD is GMO free and pharmaceutical grade. The oil is completely purified of protein substances. This also means that people who are hypersensitive to soy will be able to tolerate the Coenzyme Q10 softgels because the provocative substances normally are protein substances that are removed during cleaning. One cannot therefore compare the soybean oil used in Pharma Nord’s Coenzyme Q10 with soybean oil used in cooking. The oil is control-analyzed for the content of estrogen at an external laboratory and is completely free of estrogen and estrogen-like substances.